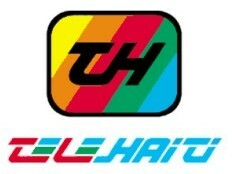 Seriously damaged by the earthquake of January 2010, Tele Haiti had to suspend its operations. The cable network, announced the early resumption of its operations in the metropolitan area of ​​Port-au-Prince and their launch across the country. A good news for customers, although the date remains to be confirmed. The company [51 years in Haiti] that leaves the most difficult period in its history, indicated that following a new partnership and a capital injection, significant investments in technology and infrastructure are in progress. "This will not only improve the quality, reliability and coverage of our signal, but also to innovate by offering the possibility of obtaining a set of new services: digital TV + High Speed ​​Internet + phone (Triple Play ) ; High Definition Television (HDTV), DVR (Digital Video Recording). All at a competitive price." As part of the recovery of these operations, the company specifies that the former subscribers will receive a special treatment and ensures that the commitments towards its customers, such as: security deposits and subscription fees paid in advance, if any, will be maintained and regularly honored without additional formalities.